It’s the nature of sport. You always try to better your last performance. 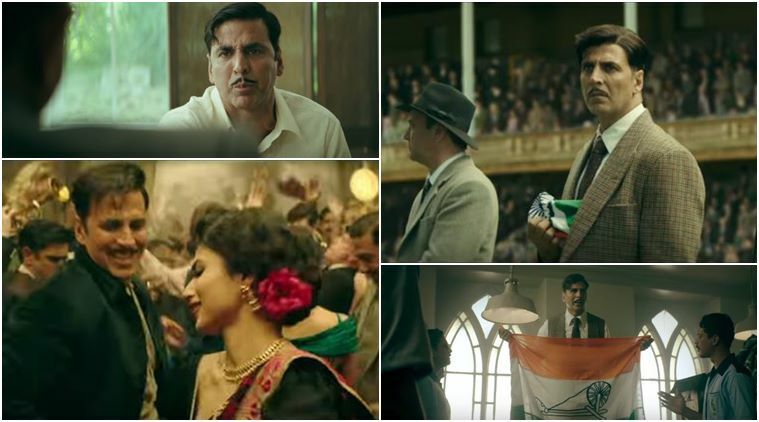 And so Akshay Kumar’s historical sports drama Gold kind of knocks Shah Rukh Khan’s Chak De! India out of the stadium. Until now, that was Bollywood’s definitive hockey film. I thought it was brilliant. This one is outstanding. Both are winners. You cannot beat a film high on sports with a patriotic twist at the death. 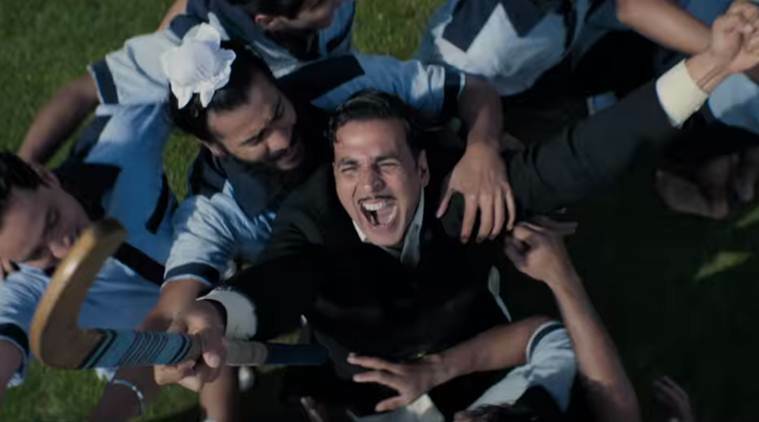 Akshay plays the roguishly endearing deputy manager Tapan Das of the hockey team than famously went to London for the 1948 Olympic Games and returned with the gold. This thumping victory, the Reema Kagti-directed film for Excel Entertainment tells us, was possible because of the indefatigable if frequently inebriated determination of Tapan babu entirely. The coach of this team is Kunal Kapoor. 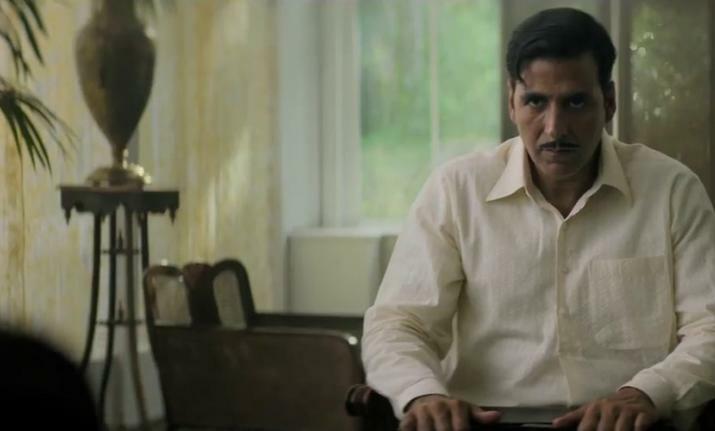 He plays the former hockey captain Samrat who retired after winning the gold in the Berlin Olympics of 1936. But Samrat was playing for the British team made up of Indians then. The final was against Germany in the grim presence of Hitler himself. The Fuhrer furiously storms out of the stadium when India thrash Germany 8-1. At the prize distribution ceremony, the Union Jack is raised and God Save The Queen is sang. That’s when Tapan and Samrat silently make eye contact and wow to see the day when the Indian tricolour is raised at an Olympic Games. But World War II erupts. There are no Games in 1940 and 1944. Now Samrat comes out of retirement to make Tapan’s dream of winning the hockey gold for Independent India in the 1948 Olympics at London come true after the manager’s carefully constructed team falls apart during Partition. Half the team goes across the border to play hockey for Pakistan. The Anglo-Indians grab the opportunity to migrate to Australia. Tapan hits the bottle in depression. Enter Samrat and the film gets an adrenaline boost. Gold is a fictional take on a true story that’s documented in history books and sports encyclopedias. Kagti infuses exciting new life into the forgotten story by drawing the performance of a lifetime out of Akshay. His Bengali character Tapan is shown in a kurta-dhoti. He has a David Niven moustache and an oily comma of hair falling onto his forehead. Tapan lives by his wits, is utterly chaalu in his ways, drunk most of the time, but his heart beats exclusively for hockey. He is henpecked at home, victimised in the Indian Hockey Federation by the team manager, but manages to keep the ball rolling for himself by singing and dancing with gay abandon once he has reason to celebrate and lays his hands on a bottle. Tapan will do anything to create a hockey team with Samrat that will go to London and win the Olympic gold. Even pawn his wife Monobina’s jewelry when funds aren’t coming from the hockey federation. Mouni Roy, in her debut Bollywood film, is one of Gold’s many surprises. As Monobina, she is feisty and sassy, she beats her husband up with a rolled newspaper, picks him up when he’s fallen down drunk, tucks in her sari and dances sexily as only a Bengali beauty with large expressive eyes and pouting lips can, and joins Tapan by cooking and feeding the team when it’s preparing for the Games. You know what’s going to happen from the start. So there’s no suspense to how Gold will end. But Kagti has managed to brilliantly pack together a thriller that ends in pouring rain at the Wembley Stadium while everywhere in India the final is followed on the radio. Her painstaking attention to detail is amazing. Gold could have been shot in Berlin just before WW II and in London and Bombay after Partition. The director’s got everything flawlessly right. Vintage steam engines, telephone booths. paved roads, cars, motorcycles and even an aeroplane of the era; music, cabaret dancers and costumes for an entire stadium of cheering spectators. Just as she’s conveyed the horror of Partition by showing the fire and fury of the communal riots in passing that divide India and split the hockey team. When India beats England in London to end 200 years of dominance and the tricolour is raised for the first time in an Olympic Games, you will stand for the national anthem. Not because you are expected to. But the moment is so high in emotion and drama and patriotism, that you will be compelled to. This is the first time Bollywood shows India and Pakistan playing winner and loser but rooting for each other in a sporting arena. Gold could not have had a more appropriate release than Independence Day. Just as Chak De! India did in August 2007. This is a film that will appeal to the masses and classes. Jai Hind!